Step up your hair game with the Jack Black styling range, a collection of effective and easy-to-use hair styling products. Minimal mirror time with long-lasting hold, the innovative range from Jack Black offers your hair the chance to experience an effortless style with maximum efficacy. Whether you’re looking to comb over or brush back, this innovative Jack Black range gives you the feeling of letting hair down in the best possible way. 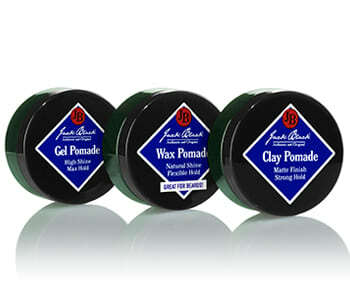 Pick from your favourite pomade, cream, gel or oil texture - styling is now made easy with Jack Black.